FindNature.com - Prints on photo paper, acrylic or canvas. Michel Lamarche. "Give life to your environment!" Easy, fast and secure with Paypal, Visa, Mastercard or American Express. Delivery period of 1 to 2 weeks. Just find the "Order" button on the lower left corner of the photo pages. The Portfolio section is the first to support this fonction. 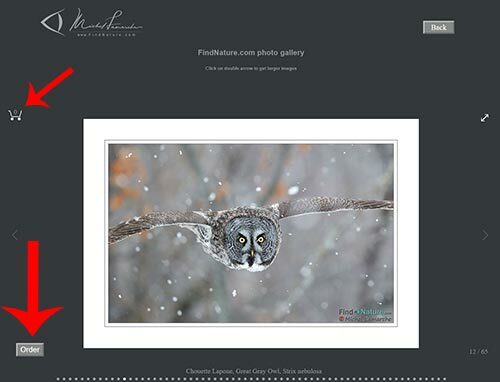 Many others will follow soon but you can already order any photo with the "Special order" button below. The little cart logo on the top left corner let you see your cart, how many items are in it and let you proceed with the checkout process. Photo long to short side ratio is always respected starting with the longest side you ask for. 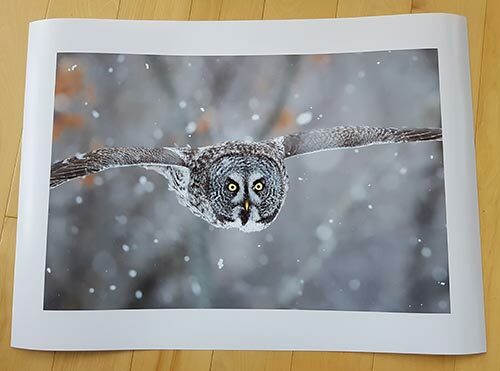 For example, if you ask for the Great Gray Owl in 24 x 36, the actual print size will be 23 x 36; maintaining the right ratio. Every photo with an "Order" button has sufficient resolution to assure you'll get an artwork of great quality for any size you ask for. Note that the signature won't be printed on the final artwork. If the "Order" button is not yet available for the photo you want, no problem, it's very easy to make a special order here! 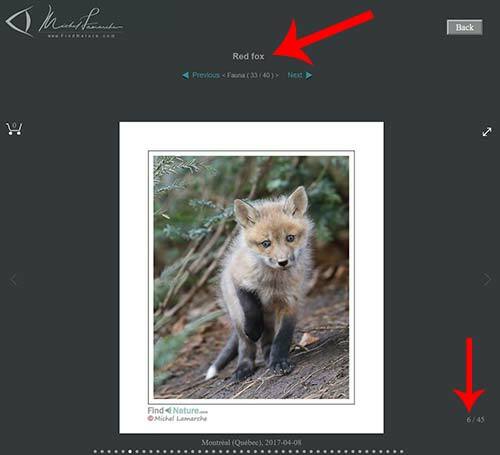 You just have to click the "Special order" button below and precise the photo identification and number (every photo has a number), like in the example beside the red arrow (Red fox - photo #6). I recommand that you communicate with me before you complete your order. This way, I will be able to verify that the photo resolution is sufficient for the dimension you need. If you don't contact me and I think the resolution is insufficient (very rare), I will contact you myself. Then, we will make an arrangment to be sure you will be entirely satisfied. 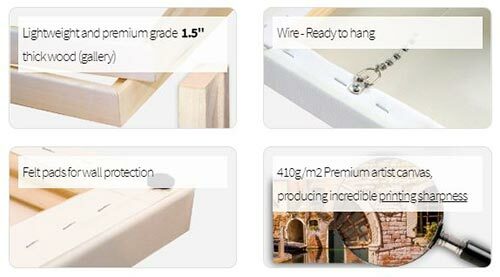 The quality is great and will last. 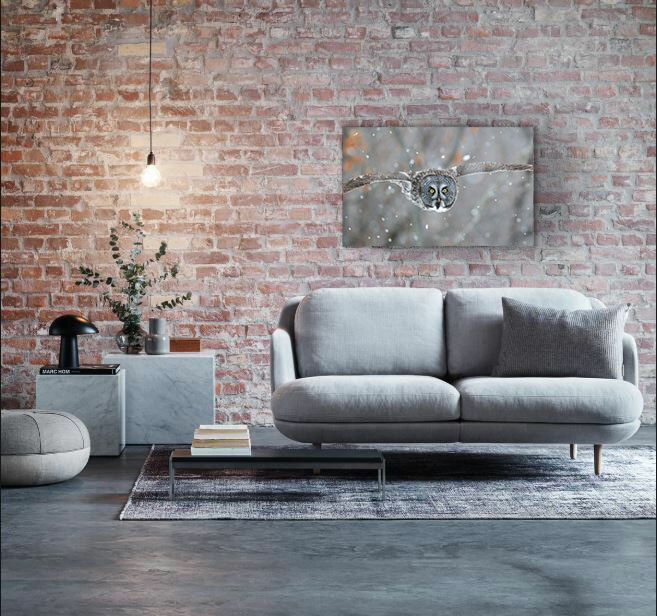 This is the cheapest way to get my artwork in your home. 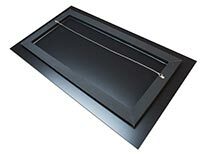 Gives you all the freedom to chose your favorite frame or photo lamination process that will fit in your environment, to your taste. The 1.75" white border helps you fit the photo in the frame. This white border is added to the size you pay. 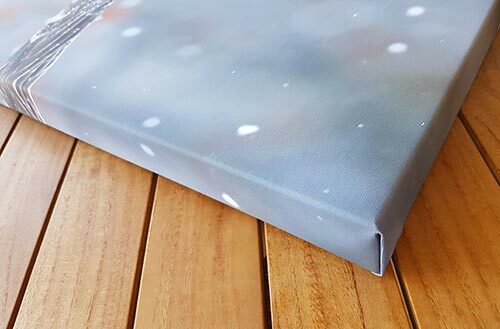 For example, a 12" x 18" photo will be 15.5" x 21.5" including the white borders. Contact me if you don't want the white border. Delivered in a cardboard tube to protect the photo. 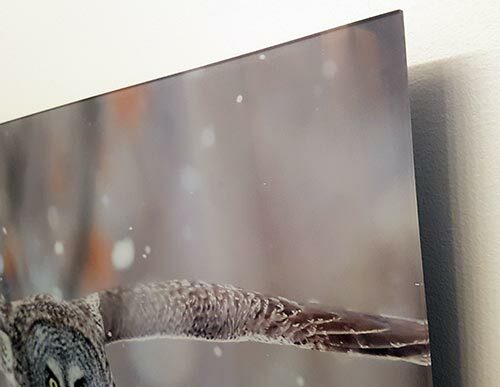 Seeing the photo on an Acrylic Print creates a truly magical effect. Brilliant, luminous colors and fascinating depth on 1/8" pure acrylic material. Back Mount Frame Wire included. Larger sizes available (up to 24" x 36") with professional quality and look. Designed to meet art galleries and museum's longevity requirements and ensure consistency of shades for up to 200 years old.